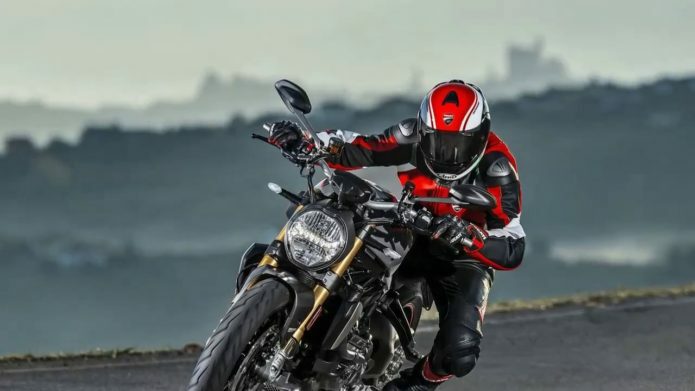 The Ducati Monster is pretty legendary in the motorcycle world. It pretty much created the naked sport category when it was introduced in 1993 and motorcycling has never been the same since. First, let me explain what a naked bike is. Modern sport bikes have body panels known as fairings. These help to smooth the flow of wind around the rider and increase speed. A naked bike lacks these fairings, leaving all its mechanical guts open to public view and generally features a more upright riding position. The Monster is one of these.